The Nitpicky Consumer: Christmas Contributions, Ho-ho-ho! Due to a somewhat complex family schedule this year, I'm in the rather unique position of spending Christmas day alone. In the spirit of the season, I decided to spend the day doing my final charitable donations of 2009. While some of the smaller groups (our local fire department, for example) still only take checks, many other groups have online donation sites that make giving a snap. Here are some of the online donation sites I used today, with a brief review of my experience. National Parks Foundation has a clear, easy-to-use form and a nifty printable holiday certificate. I got a little bit lost in their holiday screen saver promotion, but the 'donate' button was always obvious, even if it moved around a bit. What I actually really liked about them was the choice to not get the 'other stuff' that often comes with a donation. (e.g., paper newsletter, etc.). 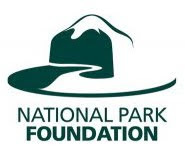 I love the national parks; I grew up close to Catoctin Mountain Park and went hiking there many times a year. Chesapeake Bay Foundation has a lot of confusing choices (Join, Renew, Support, Donate) that all actually lead to the same place. But once you got to that place, they had a really fabulous printable receipt that was just gorgeous. (For you tech geeks out there, it was a PDF-on-the-fly.) I participated in a lot of their educational programs while growing up in Maryland, so it's important to me to support them so that students today may enjoy the same opportunity. The National Capital Poison Center (the folks who used to use the "Mr. Yuk" stickers back in the 70s) have a pretty low-budget website compared to the first two groups I visited, but it got the job done. There was a funny 'loop' at the end when you jumped back to their site from their payment vendor's site (PayPal's Link product), but it didn't cause an issue. The donation worked and the receipt was emailed. I have a place in my hear for the poison center because they walked me through dealing with my husband when he got exposed to some toxic fumes a few years ago. The Rails-to-Trails Conservancy has a basic, easy form. The one bummer was that I couldn't sign up with a name different than the name on my credit card. I like to use my married-name when giving donations, but my cards are all in my maiden name. Oh well. I love their magazine. It gives a lot of useful info and maps about the trails. The Carolina Annual Fund (University of North Carolina at Chapel Hill) has about a zillion funds that you can restrict your money to. I always do this, because otherwise I am afraid that unrestricted money may go towards something wacky like paying an 'artist in residence' to put a row of toilets on the main quad, or something like that. So, anyways, the interface to find your fund is a bit confusing. They need a 'map'. I knew I wanted 'study abroad' as one of them, but I didn't realize it fell under Arts & Sciences and they even changed the fund code from last year (sneaky) so it took me a while to find it. But find it I did, and then the form even let me enter a second fund, so that was really slick. This form is VERY complex, because donations to giant universities can in fact get VERY complex. Interesting enough, after all this complexity, the site then transferred me over to the same 3rd party processor that poison.org used. But it all worked out and UNC has yet more of my money. Natural Resources Defense Council has a very simple one-click, one-page form. Too simple, in fact. My confirmation page said only 'Thank you so much for continuing your support of NRDC' and left out any mention of the amount. Doh! But it was OK, as my email receipt had all those juicy details in it just fine. I definitely shouldn't complain about a group who thanks me for my donation, unlike some other charity I know. Father Martin's Ashley is a beautiful website that really shows off what an amazing place this is. Donation process was multi-step but clean. A nice printable page at the end, with a note that an email had also been sent to me. Nice touch. No one else said that. Wikipedia has a very simple one-page form on its foundation site, but what made it interesting to me was that you could pick a currency besides US Dollar. It really underscores the world-wide breadth of the Wiki. Wait ... something else interesting about this one. My card was declined. Hmm. Odd. I called my card's automated line and it noted that my card had been temporarily turned off till they could verify that this transaction was legitimate. Yuck. I wonder if a lot of non-legitimate transactions go through this site? Well, I believe in Wiki, so I tried again after clearing the block. No luck. It put the block back on. But wait ... my card company says the charge did go through. OK, so this is definitely my least favorite donation form, but I'm sure it will all work out, eventually. With just a few clicks, all but one of these worthy organizations received a gift from me, instantly. Wow. I love the Internet. Merry Christmas to all, and to all a good night! I like the idea of being able to limit where your money goes. Or at least being informed of what it was used for. Oh, and Mr. Yuk was totally around in the nineties. I could always locate the sticker.